Several fields of human cultural and scientific development are not included in the list of Nobel Prizes, because they are either not among the prizes established as part of Alfred Nobel's will nor, in the case of the Nobel Memorial Prize in Economic Sciences, sponsored afterwards by the Nobel Foundation. While the foundation has discouraged (and occasionally taken legal action against) individuals and organizations that have used the Nobel name to refer to prizes not meeting the aforementioned criteria,  several prominent individuals and organizations have nonetheless used the label "Nobel Prize of X" to refer to highly prestigious awards in fields of activity not covered by the "real" Nobel Prizes. These awards are listed below. 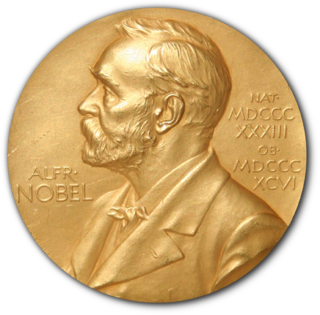 While the Nobel Memorial Prize in Economic Sciences was not originally endowed by Alfred Nobel, it is sponsored and administered by the Nobel Foundation, and generally recognized as the "Nobel Prize in Economics." Due to this recognition it is included in the list below. The World Food Prize is an international award recognizing the achievements of individuals who have advanced human development by improving the quality, quantity, or availability of food in the world. Since 1987, the prize has been awarded annually to recognize contributions in any field involved in the world food supply: food and agriculture science and technology, manufacturing, marketing, nutrition, economics, poverty alleviation, political leadership, and the social sciences. The World Food Prize Foundation is currently run by Kenneth M. Quinn, former U.S. Ambassador to Cambodia. 1: The Wolf Prize was considered an equivalent of the Nobel Prize for mathematics until the Abel Prize was established. Right Livelihood Award, oftentimes called "Alternative Nobel Prize"
The Crafoord Prize is an annual science prize established in 1980 by Holger Crafoord, a Swedish industrialist, and his wife Anna-Greta Crafoord. The Prize is awarded in partnership between the Royal Swedish Academy of Sciences and the Crafoord Foundation in Lund. The Academy is responsible for selecting the Crafoord Laureates. The prize is awarded in four categories: astronomy and mathematics; geosciences; biosciences, with particular emphasis on ecology; and polyarthritis, the disease from which Holger severely suffered in his last years. 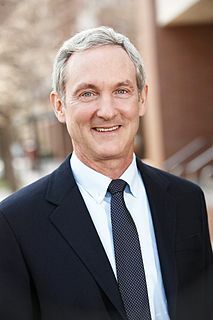 Frank Thomson "Tom" Leighton is the CEO of Akamai Technologies, the company he co-founded with Daniel Lewin in 1998. As one of the world's preeminent authorities on algorithms for network applications and cybersecurity, Dr. Leighton discovered a solution to freeing up web congestion using applied mathematics and distributed computing. The Courant Institute of Mathematical Sciences (CIMS) is an independent division of New York University (NYU) under the Faculty of Arts & Science that serves as a center for research and advanced training in computer science and mathematics. It is considered one of the leading and most prestigious mathematics schools and mathematical sciences research centers in the world. It is named after Richard Courant, one of the founders of the Courant Institute and also a mathematics professor at New York University from 1936 to 1972. Steven Holl is a New York-based American architect and watercolorist. Among his most recognized works are designs for the 2003 Simmons Hall at MIT in Cambridge, Massachusetts, the 2007 Bloch Building addition to the Nelson-Atkins Museum of Art in Kansas City, Missouri, and the 2009 Linked Hybrid mixed-use complex in Beijing, China. TheHolberg Prize is an international prize awarded annually by the government of Norway to outstanding scholars for work in the arts, humanities, social sciences, law and theology, either within one of these fields or through interdisciplinary work. The prize is named after the Danish-Norwegian writer and academic Ludvig Holberg. The Holberg Prize comes with a monetary award of 6 million Norwegian kroner (NOK), which are intended to be used to further the research of the recipient. The winner of the Holberg Prize is announced in March, and the award ceremony takes place every June in Bergen, Norway. The Asahi Prize, established in 1929, is an award presented by the Japanese newspaper Asahi Shimbun and Asahi Shimbun Foundation to honor individuals and groups that have made outstanding accomplishments in the fields of arts and academics and have greatly contributed to the development and progress of Japanese culture and society at large. The United States-Israel Binational Science Foundation (BSF) is a grant-awarding institution that promotes collaborative research in a wide range of basic and applied scientific disciplines, established in 1972 by an agreement between the governments of the United States and Israel. Numerous scientists participating in BSF programs have won prestigious awards such as the Nobel, Lasker and Wolf prizes. The Foundation grant recipients include 43 Nobel Prize laureates, 19 winners of the Lasker-DeBakey Clinical Medical Research Award, and 38 recipients of the Wolf Prize. James Patrick Allison is an American immunologist and Nobel laureate who holds the position of professor and chair of immunology and executive director of immunotherapy platform at the MD Anderson Cancer Center at the University of Texas. His discoveries have led to new cancer treatments for the deadliest cancers. He is also the director of the Cancer Research Institute (CRI) scientific advisory council. He has a longstanding interest in mechanisms of T-cell development and activation, the development of novel strategies for tumor immunotherapy, and is recognized as one of the first people to isolate the T-cell antigen receptor complex protein. In 2014, he was awarded the Breakthrough Prize in Life Sciences; in 2018, he shared the Nobel Prize in Physiology or Medicine with Tasuku Honjo. Barry Clark Barish is an American experimental physicist and Nobel Laureate. He is a Linde Professor of Physics, emeritus at California Institute of Technology. He is a leading expert on gravitational waves. 1 2 Andrea Gawrylewski (7 January 2007). "Nobel pseudo-prizes". The Scientist . Archived from the original on 11 October 2007. ↑ Ilan, Chet (4 May 2009). "Wolf Prize In Agriculture". World Scientific – via Google Books. ↑ "David Zilberman awarded Wolf Prize in Agriculture". UC Berkeley College of Natural Resources. 1 2 "Academy of Europe: Wolf Prize". Ae-info.org. Retrieved 2019-04-02. ↑ "World Food Prize for four outstanding researchers". 2016-10-18. ↑ "World Food Prize Laureate says recognition motivates him to accelerate Africa's agricultural transformation". ↑ "Three World Food Prize Winners | Purdue University Purdue Agriculture Academic History". ↑ "Huxley Memorial Medal and Lecture Prior Recipients". ↑ "Obituaries: Junichiro Itani, Sumiko Takahara". Japan Times. 2001-08-21. ↑ Paul Goldberger (28 May 1988). "Architecture View; What Pritzker Winners Tell Us About the Prize". The New York Times. ↑ Katherine Endicott (14 October 2006). "The Mexican garden revisited". San Francisco Chronicle. ↑ Daven Wu (August 2013). "A tangible legacy". Discovery. Cathay Pacific: 56. ↑ "Catherine Deneuve awarded the Praemium Imperiale, Japanese Nobel Prize for the Arts". en.unifrance.org. ↑ ""This Nobel Prize in Arts is a great honor" ; The Praemium Imperiale Awards Ceremony – Joint Press Conference". Japan Forward. 1 November 2016. ↑ "Riccardo Muti receives the Praemium Imperiale, Japan's top arts award - CSO Sounds & Stories". csosoundsandstories.org. ↑ "Rafael Moneo wins the Praemium Imperiale 2017 - Floornature". Floornature.com. ↑ "Fall Quarter greetings". UC Santa Cruz News. ↑ special-reports (2014-04-29). "Internationally famous Vietnamese scientists - News VietNamNet". English.vietnamnet.vn. Retrieved 2019-04-02. ↑ "This week in 1999 – Maynard Smith wins Crafoord Prize". ↑ "Rutgers anthropologist to receive biology's equivalent of Nobel Prize". 2007-07-17. ↑ "People: Two Population Biologists Share $240,000 1990 Swedish Crafoord Prize". ↑ "IU Distinguished Professor Richard Shiffrin awarded Atkinson Prize". 2018-01-17. ↑ "Chi awarded the 2019 Rumelhart Prize, 'the Nobel Prize in Cognitive Science'". 2018-08-06. ↑ "Cognitive Science Honors its Pioneers and Leaders". ↑ Steven Geringer (27 July 2007). "ACM'S Turing Award Prize Raised To $250,000". ACM press release. Archived from the original on 30 December 2008. ↑ "ACM's Turing Award Prize Raised to $1 Million". ACM. December 2014. On November 13, 2014, ACM announced the funding level for the ACM A.M. Turing Award is now $1 million. Google Inc. will provide all funding for this award, recognized as the highest honor in computer science and often referred to as the field's equivalent of the Nobel Prize. ↑ "Herman Goldstein receives Stockholm Prize in Criminology - University of Wisconsin Law School". law.wisc.edu. ↑ Média, Bell. "Montreal professor awarded". iheartradio.ca. ↑ "Cathy Spatz Widom Awarded 2016 Stockholm Prize in Criminology". gc.cuny.edu. ↑ anna.nilsen@liu.se (13 February 2017). "LiU News". liu.se. ↑ "eTruck has won one of the world's most prestigious design awards, the Red Dot Award". MA-system. ↑ "2012 Red Dot Design Award goes to Halda Space Discovery". 20 March 2012. ↑ Coughlan, Sean (2012-11-13). "Prize for teaching India's poor". BBC News. ↑ Jane, Regina. "WISE: Rethinking and Debating Education in Africa". Newafricanmagazine.com. Retrieved 2019-04-02. ↑ "'Nobel Prize for Education' Seeks 2019 Nominees -". ↑ "The "Nobel Prize for energy" awarded to Chinese scientist for first time". chinadaily.com.cn. ↑ "Jens Nielsen honored by ENI for research on the production of fuels from renewables". EurekAlert!. ↑ "Recent AUST M.Sc. Graduate Scoops Eni Award For Excellence "the Nobel Prize For Energy" — AUST". aust.edu.ng. ↑ "Engineerings Noble Prize" . Retrieved 19 March 2019. ↑ "Professionals of Environmental Epidemiology and Exposure Science Celebrate Their Annual Appointment - Health is Global Blog". ISGlobal. ↑ "Jordi Sunyer, awarded with the “Nobel prize” for environment and health research". ISGlobal. ↑ News, Stanford. "Gretchen Daily honored with Blue Planet Prize for her work to harmonize people and nature - The Dish". news.stanford.edu. ↑ "Blue Planet Prize - 'Environmental Nobel' - awarded to Dan Sperling". ITS. ↑ "Hans Joachim Schellnhuber wins 2017 Blue Planet Prize". 19 October 2017. ↑ "Pioneering Black Climate Scientist Honored with Top Prize in the Field". 2019-02-14. ↑ "Michael Mann awarded the 2019 Tyler Prize for Environmental Achievement | Penn State University". ↑ "Taylor prize press release" (PDF). gf.org. 2018. ↑ "Bulletin, Vol. 19, No. 10 – September 2008". actuaries.ca. ↑ ""New Dream Material" Developer Wasn't Aiming for a Home Run - UTOKYO VOICES 017". The University of Tokyo. ↑ Community, Nature Research Ecology & Evolution (31 October 2017). "Marcus Wallenberg Prize 2017". Nature Research Ecology & Evolution Community. ↑ "Lignoworks Students Participate in Marcus Wallenberg Prize Ceremony - Lignoworks". icfar.ca. 16 October 2013. ↑ "UCD Emeritus Professor of Geography awarded Vautrin Lud Prize". University College Dublin. Retrieved 19 March 2019. ↑ Andrew Alden. "What Is Geology's Nobel Prize?". About.com Education. ↑ "Martin Ennals Award 2017: and then there were three finalists - International Commission of Jurists". ↑ "Three extraordinary nominees for Martin Ennals human rights award". BusinessLIVE. ↑ "Emirati activist Ahmed Mansoor wins Martin Ennals award, known as 'Nobel prize for human rights'". Firstpost. ↑ "Professors with University of Chicago ties win "Nobel Prize for the humanities"". www-news.uchicago.edu. ↑ Treanor, Brian; Venema, Henry Isaac (2 April 2019). "A Passion for the Possible: Thinking with Paul Ricoeur". Fordham Univ Press – via Google Books. ↑ "Academia Sinica historian to receive prize - Taipei Times". taipeitimes.com. ↑ Stiles, Ed. "UA Professor Wins Hydrology's "Nobel Prize"". UANews. ↑ "Professor Carlos Tucci ganha o International Hydrology Prize de 2011 da IAHS, UNESCO e WMO. — Instituto de Pesquisas Hidráulicas". ufrgs.br. ↑ Mark Peplow (26 March 2004). "Maths 'Nobel' awarded". Nature . doi:10.1038/news040322-16. ↑ "Mathematicians share Abel Prize". BBC News. 26 March 2004. ↑ James Randerson (24 March 2006). "Prize for mathematician who paved way for iPod". The Guardian. ↑ Daniel Woolls (22 August 2006). "Russian Refuses Math's Highest Honor". The Washington Post. ↑ James Randerson (22 August 2006). "Maverick genius turns down maths 'Nobel'". The Guardian . ↑ Kenneth Chang (22 August 2006). "Highest Honor in Mathematics Is Refused". The New York Times. ↑ "Gregory Margulis and Sergei Novikov Awarded Wolf Prize for Mathematics". springer.com. ↑ "Stony Brook University Professor Wins Prestigious Wolf Prize In Mathematics -". SBU News. 9 February 2010. ↑ SCMO, CMOS Bulletin. "International Meteorological Organization Archives". ↑ "Academician Qin Dahe awarded "Nobel Prize in Meteorology" - People's Daily Online". en.people.cn. ↑ "Cat Tales May June 2018". Issuu. ↑ "Composer Brian Ferneyhough wins 2007 Siemens Music Prize". Stanford Report. 2 February 2007. ↑ Michael Volker (23 May 2005). "Nobelpreis der Musik" (in German). Deutschlandradio. ↑ "Bjork and Ennio Morricone win Polar Music Prize". BBC News. 17 May 2010. Retrieved 19 July 2012. ↑ "Polar Music Prize". Kinnarps . Retrieved 19 July 2012. ↑ "Kronos Quartet, Patti Smith awarded Polar Music Prize 2011". Xinhua News Agency. 3 May 2011. Archived from the original on 5 May 2011. Retrieved 19 July 2012. ↑ "British scientists have won the Brain Prize for unlocking secrets of memory". The Independent. 1 March 2016. ↑ "CIPSM - Neuroscience's answer to the Nobel Prize - The Brain Prize 2015 - goes in part to CIPSM researcher Arthur Konnerth for the invention, development and application of the revolutionary technique two-photon microscopy". cipsm.de. ↑ "Four Alzheimer's Researchers from Europe Share Nobel of Neuroscience". 16 March 2018. ↑ "Michael Mullan - Professor Ramon Margalef López, Catalan pioneer of scientific ecology". ↑ "Fingerhut and IBM Named Finalists in Prestigious Franz Edelman Award For Innovative Business Intelligence Technology". www-03.ibm.com. 9 May 2000. ↑ "Centro de Gestión de Información para los Negocios - Premio Franz Edelman 2016: Profesor Jaime Miranda forma parte del equipo finalista". cgin.cl. ↑ "Andrés Weintraub y Rafael Epstein galardonados como finalistas del Premio Franz Edelman 2011 « Ingeniería Industrial :: Universidad de Chile". ↑ "Franz Edelman Award, considerado prêmio Nobel na área científica, é concedido à Syngenta". Portal Agrolink. ↑ "QUT's Professor Joanne Wood wins 'Nobel Prize' of international optometry". News-Medical.net. 15 October 2015. ↑ Technology (QUT), Queensland University of. "eyePrize: QUT professor wins". QUT. ↑ FAKHOURI, Marlène AOUN (14 January 2019). "Un médecin franco-libanais membre du jury du prix Galien - Marlène AOUN FAKHOURI". L'Orient-Le Jour. ↑ "Novartis wins esteemed Prix Galien Foundation Best Biotechnology Product Award for CAR-T cell therapy, Kymriah® - Novartis US". pharma.us.novartis.com. ↑ "TKS Publisher | Winners of the "Nobel" prizes for innovation in pharmaceuticals and medical devices announced - TKS Publisher". Teknoscienze.com. Retrieved 2019-04-02. ↑ Miguel Forbes. "Berggruen Institute Launches $1M Nobel Prize for Philosophy". Forbes.com Education. ↑ dlb02011 (20 March 2017). "Ruth Millikan: 2017 Rolf Shock Prize in Logic and Philosophy - Philosophy Department". ↑ "Rutgers philosophy program earns international recognition". The Daily Targum. ↑ Grimes, William (4 January 2017). "Derek Parfit, Philosopher Who Explored Identity and Moral Choice, Dies at 74" – via NYTimes.com. ↑ "Hara Museum Web - Hara Museum of Contemporary Art - Exhibitions - William Eggleston: Paris-Kyoto". Hara Museum Web. ↑ CNA. "Catalan Joan Fontcuberta wins the Hasselblad Award, considered to be the Photography Nobel". catalannews.com. ↑ "CreativeHolland - Hasselblad Award for Rineke Dijkstra". CreativeHolland. 13 March 2017. ↑ Dahl, Robert; Shapiro, Ian (2015). On Democracy: Second Edition. New Haven, Connecticut: Yale University Press. pp. vii. ↑ Ardila, Rubén. "Psychology and the Nobel Prize". Universitas Psychologica. 15 (4): 1–6. doi:10.11144/Javeriana.upsy15-4.pnp (inactive 2019-03-21). ↑ "Sternberg wins 2018 Grawemeyer Award in Psychology". ↑ "Former Dominican priest, celebrated geneticist, wins Templeton Prize". catholicnews.com. ↑ Minkel, J. R. "John Templeton, Philanthropist of Science and Religion, Dead at 95". Scientific American. ↑ "The 2018 "Nobel Prize for Robotics" goes to two Europeans - Awards". hannovermesse.de. ↑ "The "Nobel Prize" of Robotics – 9T1 Raffaello D'Andrea - Division of Engineering Science". engsci.utoronto.ca. ↑ "Manuel Castells awarded the Holberg Prize | Center for Higher Education Transformation". Chet.org.za. 16 October 2011. Retrieved 18 July 2012. ↑ "Manuel Castells awarded the Holberg Prize, considered Sociology's Nobel". Catalan News Agency. 7 June 2012. ↑ "Sociologist Manuel Castells wins 2012 Holberg Prize". University World News. 15 April 2012. Retrieved 18 July 2012. ↑ Tonelli, Carla (28 October 2011). "Finalists named for "Nobel of Sustainability"". ↑ "New PageCloud Page". thermalfrost.ca. ↑ "Waste4Think, "Smart City" category winner in the Katerva Awards 2018". 23 May 2018. ↑ "Tech 'Nobel' awarded to Finnish physicist for small smart devices". ↑ "Winner of 2014 Millennium Technology Prize". ↑ "Linus Torvalds wins the tech. Equivalent of a Nobel Prize: The Millennium Technology Prize". ↑ "ESA researching atomic layering technique whose inventor won technology's 'Nobel' prize". ↑ "Citas para viajar por España en 2018". viajes.nationalgeographic.com.es. 4 January 2018. ↑ "El centro histórico de Suzhou". ↑ "Winner of "Green Nobel" says India is plundering not protecting..." 25 April 2017 – via in.reuters.com. ↑ "She wasn't an environmental expert, but now she has a 'Green Nobel'". 7 May 2018 – via Christian Science Monitor. ↑ "Annual Goldman Environmental Prize to Honor Six Grassroots Leaders". KQED. 21 April 2017. ↑ "UW–Madison limnologist receives international Water Prize". news.wisc.edu. ↑ "John Briscoe Awarded Stockholm Water Prize". espp.fas.harvard.edu. ↑ "India's Water Man is the Laureate of the 'Water Nobel Prize' - South-Danube Region Directorate of Water Management". ddvizig.hu.